Road trips in the North of India demand a stop at a typical Indian fast food establishment – the dhaba. Much like the truck stop diners in the States, travelers rely on these eateries to fuel themselves on their long journeys. Dhabas have been serving fresh, simply cooked, seasonal fare to hungry patrons long before these words represented a food trend. At dhabas you will find rickety, almost road-worthy trucks parked alongside luxury cars parked alongside cheap passenger vans. Hunger and the promise of food are great equalizers. Typically, your server will motion you to a wood seat strung with jute ropes and offer you some water (or bottled if they sense your hesitation). You ask - “What’s good today?”. “Everything” he replies with a toothless grin. 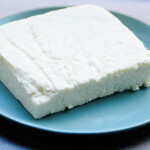 Paneer is a farmers cheese from India. 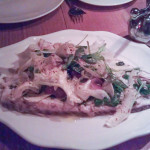 It has a semi-soft, crumbly texture and is eaten fresh (typically within hours of preparation). It is one of the most ubiquitous ingredients in vegetarian dishes served in Indian restaurants. 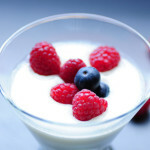 Made fresh, it has a very mild flavor which can be dressed up in a million different ways. It can be used to top a salad or used as a sandwich filling. 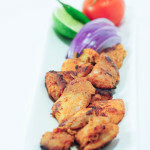 Its texture holds up well when cooked in a curry but it can also be marinated and barbecued at a high temperature, as it does not melt. 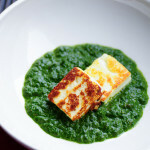 Making paneer is extremely simple. All you need is full fat milk, some lemons, a cheesecloth and a heavy weight to draw out the whey. 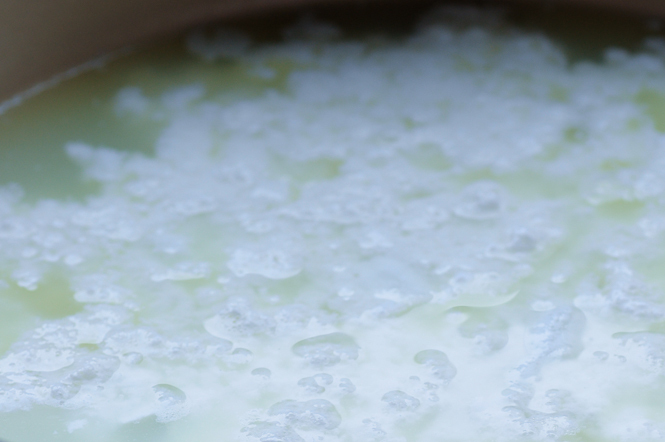 The acid in the lemons separates the whey from the milk solids, which are then placed under a heavy weight. This hardly warrants a recipe, but here are the step by step instructions if you would like them. Once the milk is boiling, squeeze the lemons over a strainer into the milk. The strainer is so you don’t end up having to fish out lemon seeds from a block of paneer. No fun. Depending on the potency of the lemons, you may have to add less or more juice. You should at this point notice the milk solids separating from the whey. Stir gently for an additional minute while the lemon juice does it’s magic. Take the separated milk off the heat. Line a colander with the cheesecloth and place over your kitchen sink. Pour the separated milk into the cheesecloth lined colander. This will drain the whey and leave the soft cheese in your cheesecloth. Very gently pour tap water over the cheese to wash out the lemony taste. Bring up the sides of the cheesecloth and twist it till it forms a tight ball. Most of the leftover moisture will be drawn out when you do this. Don’t unravel the cheesecloth yet. Place this ball under a heavy weight for an hour. I place a cutting board over the ball and then place a mortar and pestle over it. 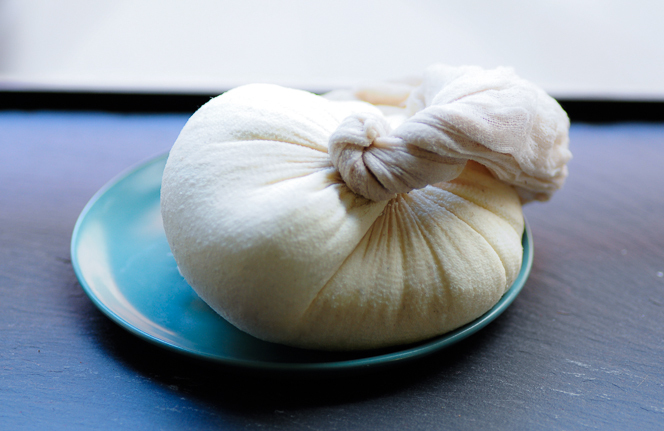 After an hour, unravel the cheesecloth and you should have a ball of paneer. Refrigerate immediately and use within a day or so. 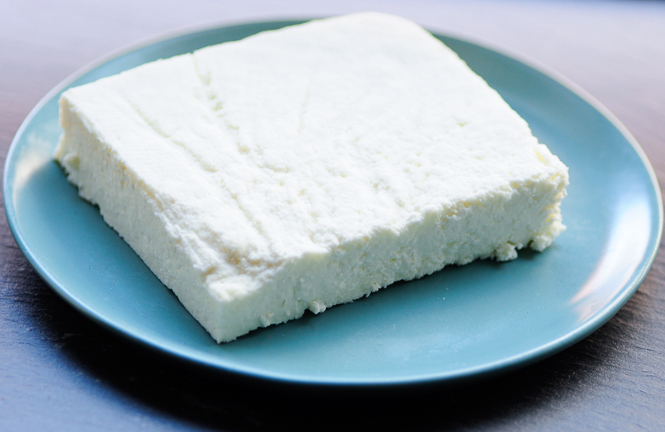 Paneer blocks can be frozen and defrosted overnight in the fridge prior to use.